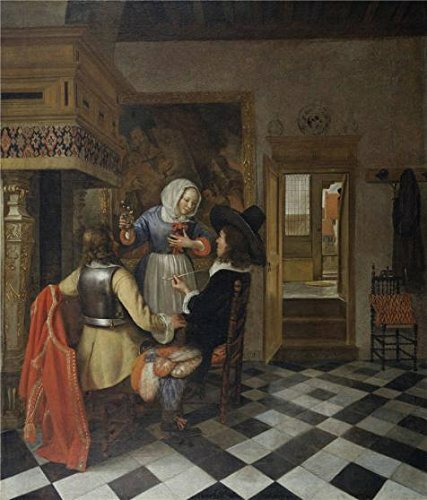 Canvas named Hendrik van der Burgh (attributed to) - Drinkers before the Fireplace, c. 1660. The size is 16x19 inch / 41x48 cm. Your customized sizes are acceptable, please send me emails. If you have any questions about this product by ChrisBroadhurst, contact us by completing and submitting the form below. If you are looking for a specif part number, please include it with your message.